Could Online Coaching be the Answer For You? Due to popular demand I have re-opened my online nutrition coaching! This is a service I have offered in the past but had to stop due to time constraints. I’m so excited to be able to offer it again! 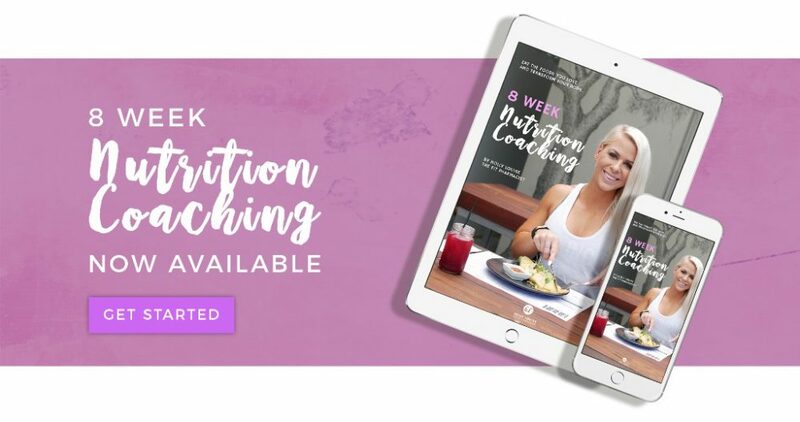 If you feel like you just don’t know where to start when it comes to eating for your goals or you just can’t seem to figure out what’s not working, then online coaching may be just what you are looking for. Not only will you receive a detailed plan on how to achieve your goals, you’ll also get the support you need to stick to it. Another major benefit is just having someone to be held accountable to. A lot of people have the intrinsic motivation to head towards their goals and have the knowledge to do so but lack that one factor to keep them on track. Others have all the motivation in the world but lack the knowledge or are simply overloaded with all of the misinformation out there regarding nutrition and dieting. I have two different online coaching options available based on your level of experience (see below). Both options come with my Guide to Flexible Dieting and are focused on educating you about nutrition and how to make your diet fit your lifestyle so that you can achieve SUSTAINABLE results. If you are just starting out on your health and fitness journey or you haven’t tracked calories or macronutrients before – this option will be best for you. I will calculate your personal calories and macronutrients and provide you with two full days of meal plans based on these numbers to get you started. Check out everything that is included HERE. If you have had experience with tracking your calories or macros before and don’t require meal plans, but need assistance with calculating the right numbers for you – this option is best for you. I will calculate your personal calories and macronutrients and make adjustments where needed to allow you to achieve your goals. I will also help to keep you accountable. Click HERE for more details. I will check in with you once a fortnight. You will be required to complete a progress tracker with your weight, measurements and photos as well as a few other questions, which I will use to analyse your progress and make any necessary adjustments. This will ensure that you continue to progress towards achieving your goals! Please note: I complete all of my programs and check ins personally and I put a lot of time and effort into customising them to your needs to ensure that you achieve the best results possible. As such, I will only be offering these programs to a VERY LIMITED amount of people. 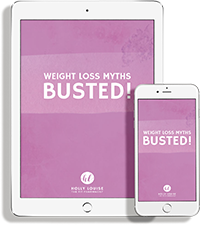 So – if you are 100% ready to kick start your health and fitness goals for 2018 and transform your body while eating the foods you love – click HERE and let’s get started TODAY!